Easy Fixes For Annoying Bath Problems. Have you been putting up with a scratched, peeling, rusted or cracked bathtub or shower for too long? It’s time to do something about it. 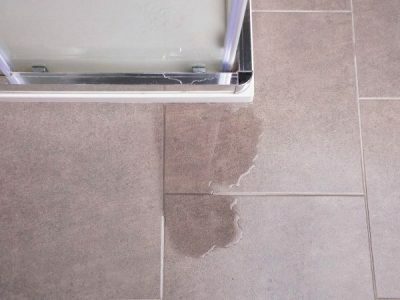 You may have been putting off fixing your broken bath or shower floor because repairs just seemed too extensive and costly. But there are easy ways to get your bathroom back in ship-shape for an affordable price! Having a luxurious bath shouldn’t be a massive headache. And bathroom repairs for these types of problems don’t need to take weeks to carry out. In this article, we look into a few common bathtub and shower problems and assess the quickest and easiest ways to carry out repairs. 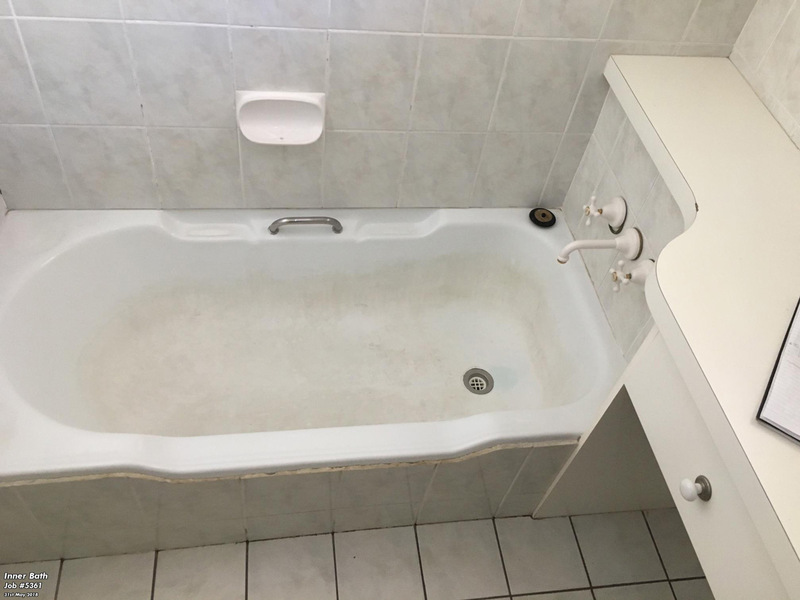 This type of problem is prevalent amongst bathtubs that have not been painted properly from the offset, or that have seen substantial wear and tear. Bubbling, however, can also be caused by leaving damp towels in your bath or shower for an extended period. Your first instinct may be to sand back the damaged paint and resurface it yourself, but this can be a hazardous business. Re-spraying, painting or enamelling involves using chemicals around your plumbing outlets, which can cause damage to the fixtures and even run the risk of contaminating the water supply. As we all know, DIY jobs of this calibre can often lead to a disaster that costs even more to repair. What you thought was going to be a quick fix can quickly turn into a financial nightmare. Relining is by far the safest and quickest way to fix a scratched, bubbling or peeling bathtub or shower base. Relining involves securing a new acrylic base over the existing one. The process doesn’t use any harmful chemicals and will not require any plumbing work to be carried out. The best part, though? Your bath or shower will be ready to use the very next day. You don’t need to wait five days or more for paint or chemicals to dry, as is often the case with re-spraying, re-enamelling or re-painting. Rusted bathtub and shower bases are often the cause of chronically leaky taps or uneven surfaces which encourage water to pool rather than flow into the drain. The first thing that needs to be checked in this situation is the security of your plumbing fixtures. You may need to replace a washer or tighten a part to stop the leaking, and a plumber might need to be called in to do this. Don’t attempt to repair your rusty bathtub or shower base until these plumbing problems are fixed; it’s counterproductive and can be a huge waste of time and money. 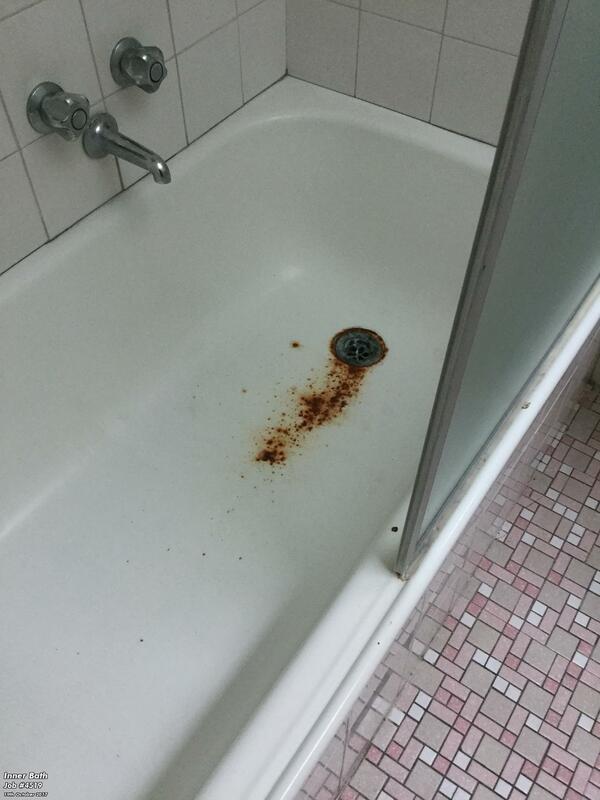 If corrosion is occurring because of pooling water, the surface of your bath or shower base will need to be levelled. Once again, you may be tempted to opt for a quick fix; spraying over the rusted area so that it doesn’t look so unsightly. 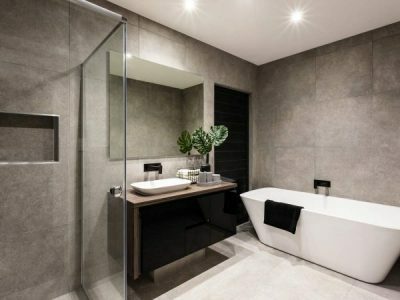 But if you don’t ensure that your bathtub or shower base is evenly levelled, you’ll just end up with the same problem again a few months down the track. You could muck around with a spirit level and some premix mortar on your own, but when dealing with an uneven surface, your calculations need to be exact to optimise runoff into the drain. It’s tedious work. And you have to wait in stages for all the layers of material to dry, which can take over a week! Relining is the most efficient and durable solution to a rusted or corroded bath or shower base. There’s no need to wait for chemicals to dry during installation when you choose bathtub relining services. You also won’t need to limit the cleaning products you use on your bath or shower surfaces afterwards, as is often the case with re-painting, re-enamelling and re-spraying. These reparation options tend to delay the problem rather than permanently fix it. If you want your bath or shower base to last for decades, relining is the best choice. People often think that there’s no coming back from a cracked bathtub. It’s unsafe to use and makes the whole bathroom look worn and unsanitary. Incorrection installation or insufficient base support can cause your bath to form cracks. And a hairline crack can quickly turn into a much bigger issue! So it’s best to act fast. If you bath is still in warranty, call the installer or manufacturer and see if they will carry out repairs at no extra cost to you. Unfortunately, you may find that many installers don’t offer a warranty on workmanship. So you could have no choice but to replace the tub at your own expense. Relining is the best long-term solution in this situation. It won’t cost you the earth, like a new bathtub will, and will make use of your perfectly functioning base. When your bath is relined, the space between the old base and the new liner is filled with two-part polyurethane expanding foam, so that the acrylic liner has superior support. This will prevent cracks from occurring and also insulate your bathwater to keep it hotter for longer! 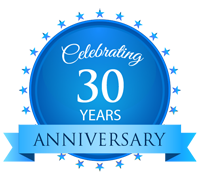 Choose to have your bath or shower relined with Inner Bath, and you’ll enjoy a ten-year warranty on both product and the workmanship. You won’t have to pay for someone else’s mistakes again! 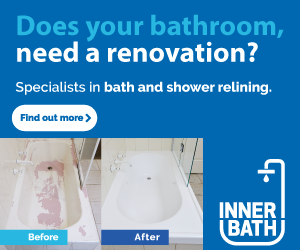 A damaged bathtub or shower base is a massive nuisance, and you can avoid experiencing it twice by contacting Inner Bath to carry out a speedy, yet thorough relining service.